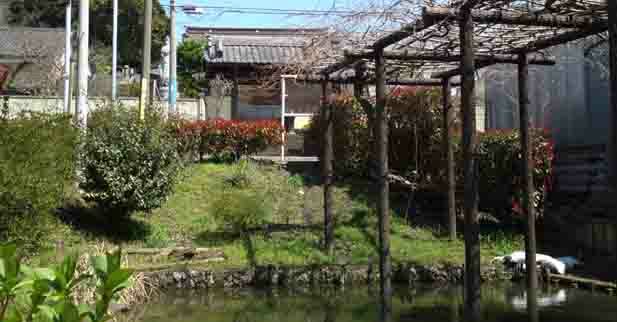 For 10 minutes' walk along Kioroshu-kaido Road from Funabashi Houten Station connecting to Nakayama Race Course, there is a small Buddhist hall called Fujiwara Kannondo Hall where the great swordsman Musashi Miyamoto first met Iori and trained himself, and sometimes it was said it was his hideaway in early Edo period. This story is from the famous book of 'The Great Swordsman Musashi Miyamoto' written by Eiji Yoshikawa. 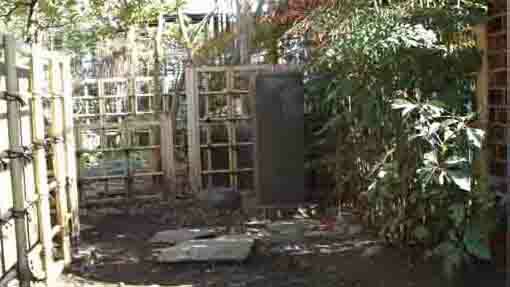 He called 'Hoten-ga-hara' (Hoten plain) the area where Musashi had stayed. This land was owned by Tokuganji Temple at Gyotoku in Katsushika-gun, Shimousa Province (now Gyotoku in Ichikawa City), this temple had deep connection with Ieyasu Tokugawa, the first Shogun and the founder of Edo Bakufu. 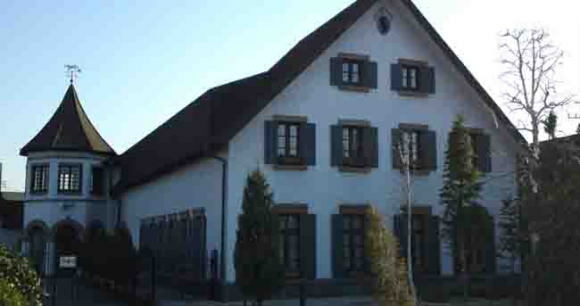 Moreover a legend adds that Musashi cultivated the farm land and built the basis of Fujiwara village. 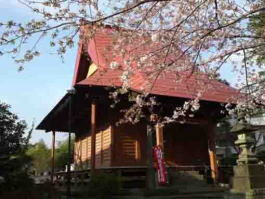 Fujiwara Kannondo Hall has some romantic historical stories that you could enjoy visiting. Although some disagreed with the stories connecting to the great swordsman, neighbors would have some dreams in them. Moreover a statue of Kannon dedicated in Fujiwara Kannondo Hall is called a Migawari Kannon (a vicariousness kannon), and it was registered as a tangible cultural property by Funabashi city government. The kannon is a hibutsu (a Buddhist statue which is usually kept hidden from the public) and is exposed to the public once every 33 years. Next Gokaicho (exposing) will be in 2027. 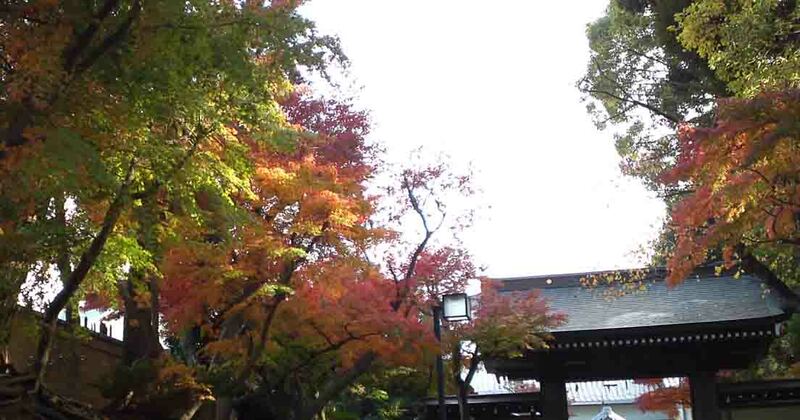 The great swordsman Musashi Miyamoto might walk along Kioroshi-kaido road, and also the master of hiku Basho Matsuo and a writer Ikku Juppensha passed through the road to visit Kashima Jingu Shrine. So Kioroshi-kaido road was also called Kashima-kaido and Choshi-kaido road, so many people might pass in front of Fujiwara Kannondo Hall and take a rest there, and they might think of the life of Musashi Miyamoto. Some beautiful cherry blossoms bloom in front of the hall in spring, and some colors on leaves in falls and red on the hall's roof blend into one another and shine in the blue sky. Though Fujiwara Kannondo Hall is a tiny hall, you could imagine the story of the great swords man Musashi Miyamoto that he would have run, work and fight on the ground you would stand. 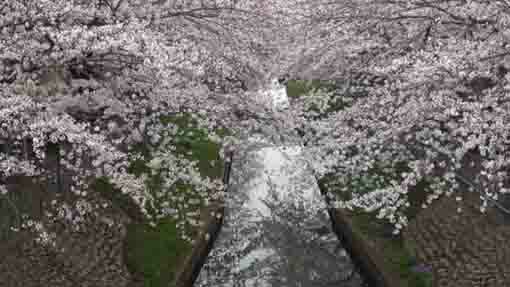 Katsushika Shiryaku (a regional guide book in Edo perid) said it was called Fujiwarado at that time. And according to Funabashi city's site, the district name 'Hoden' was named in 1889, but the district name 'Hoden' has existed in Kamiyama-cho next to Fujiwara-cho before. Now the 'Hoden Plain' in the book 'Musashi Miyamoto' by Eiji Yoshikawa might be named after the 'Hoden' in Kamiyama-cho. Some said that the origin of the district name Fujiwara was named after the great swordsman Musashi Miyamoto's real clan's name 'Fujiwara'. After Musashi had traveled around Ou region (Tohoku), he walked through the road in Hitachi Province (Ibaraki Prefecture) on the way to Edo. When Musashi was passing through Hoten Plain (the writer Yoshikawa calls), he first met Iori who had left his father slightly before. Then Musashi cultivated the wasteland with the boy. Then he named the district 'Fujiwara' after his clan's name 'Harunobu Fujiwara'. Musashi Miyamoto stayed at Tokuganji Temple in Gyotoku that Ieyasu Tokugawa became a believer of in 1610, and the land owner of Fujiwara Kannondo Hall was Tokuganji temple. 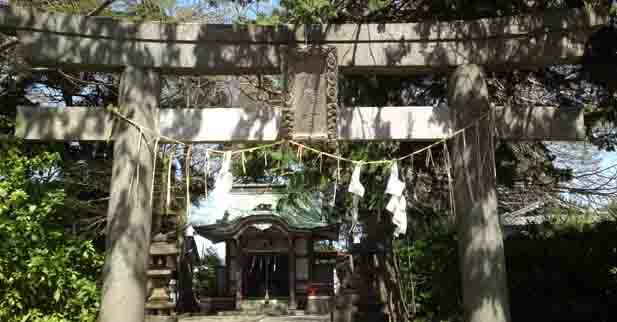 In addition, there is a tower erected for the response of Musashi's soul there. Moreover, Eiji Yoshikawa wrote Musashi's activities at Hoten Plain in his book 'Musashi Miyamoto'. 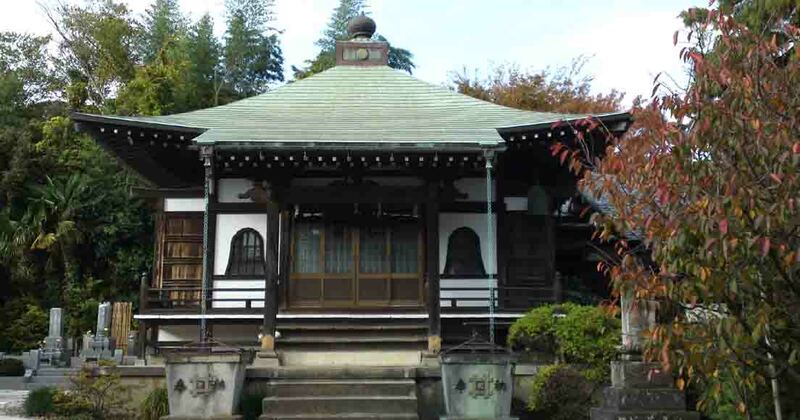 Therefore, some said that the story of Musashi Miyamoto named the district might be created, and Fujiwara Kannondo Hall might be his hideaway. Other said that Seiuemon Suzuki and some people from Gyotoku cultivated the land in the district and Seiuemon named it after his real clan's name 'Fujiwara'. This story is higher reliability than Musashi's. The wooden statue of standing Kannon registered as a tangible cultural property by Funabashi city government. The statue of the standing Kannon is 90 cm tall, foil pressed yosegi-zukuri style statue in the hall. 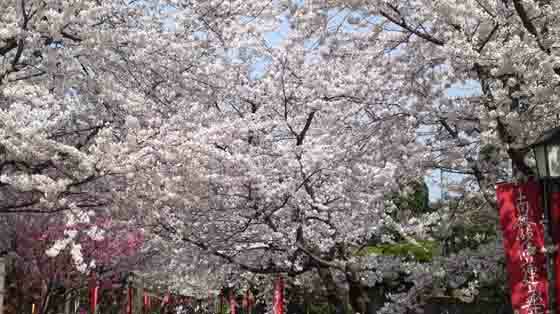 It might be crafted in Kamakura Period, but some said it might be in Edo Period. This Kannon is a very handsome Kannon which is unusual in this region, so it is called 'Migawari Kannon (a vicariousness kannon)' and people around the hall has worshipped faithfully and kept carefully as a hibutsu (a Buddhist statue which is usually kept hidden from the public). According to the History Of Migawari Kannon, Kanze, a sculptor of Buddhist from Kyoto was ordered to make this statue of Kannon by a rich man at Uji in Kyoto. After he had completed the work, he was attacked by bandits and got hurts on him at Mt. Oe on his way to home, but he was no injured. At the same time, the statue of Kannon at the rich man's shed blood, so it was found that the Kannon must be injured instead of Kanze. 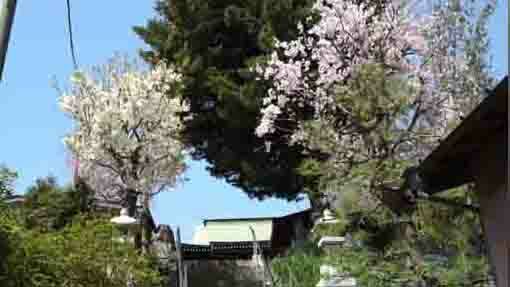 Therefore everybody faithfully worshiped as the Migawari Kannon. It was said that in early Edo period, Sanzaemon Tanaka, a plutocrat in Gyotoku, was asked to owe a statue to bring back by Kenjyuji Temple in Tango Province (northern part of Kyoto Prefecture), that was the statue of Migawari Kannon in Fujiwara. First this statue was dedicated in Tokuganji Temple, and after Fujiwara village was opened in 1690, a small temple was built and the statue of kannon moved to the temple. The wooden statue of standing Kannon was registered as a tangible cultural property by Funabashi city government in February 22nd 1966. According to Katsushika Shiryaku, the statue of Migawari Kannon was carved on the same piece of wood of the statue of Kannon in the 21st temple of the pilgrimage in West in Kameoka city in Kyoto in 962, and when Sanzaemon Tanaka from Gyotoku went to Kyoto for some constracting project, he got this Kannon and brought it back and dedicated it in Tokuganji Temple in Gyotoku in 1659. 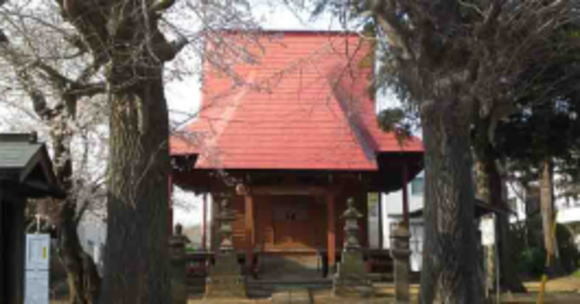 In 1690, the Kannon was moved to the hall in Fujiwara. Since that, Fujiwara Kannondo Hall is the extra temple of the 33 Pilgrimage in Gyotoku and Urayasu, so it is the last temple of the pilgrimage. After completing it 3 times, the pilgrim would visit Fujiwara Kannondo Hall, so it could be said that it is the 100th temple of it. 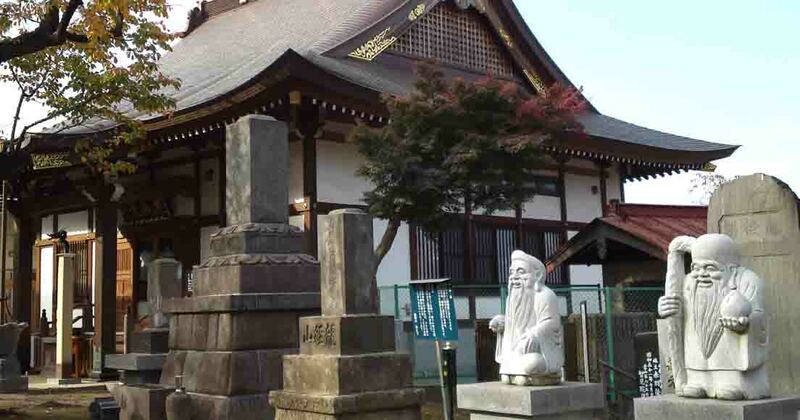 Since both the first and last temples have some legends of Musashi Miyamoto, it could be very exciting pilgrimage for people who love to study and read Japanese History. 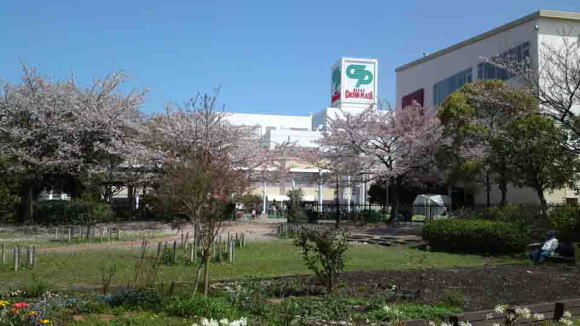 Fujiwara Kannondo Hall has a great accessibility from both Narita and Haneda International Airport. You could feel the great swordsman Musashi Miyamoto on your way to Narita International Airport, so Fujiwara Kannondo is very close area from the airport. If you have a little time, please come and visit Fujiwara Kannondo Hall to enjoy thinking of the activities of Musashi Miyamoto and Iori.